The CFA charter is offered by the CFA Institute to finance and investment professionals. The certification is often considered to be one of the most prestigious ones in the field of finance globally. If you want to enter into the world of finance like equity research, IB analyst, risk management, then taking CFA exam would provide a big credibility to your profile. 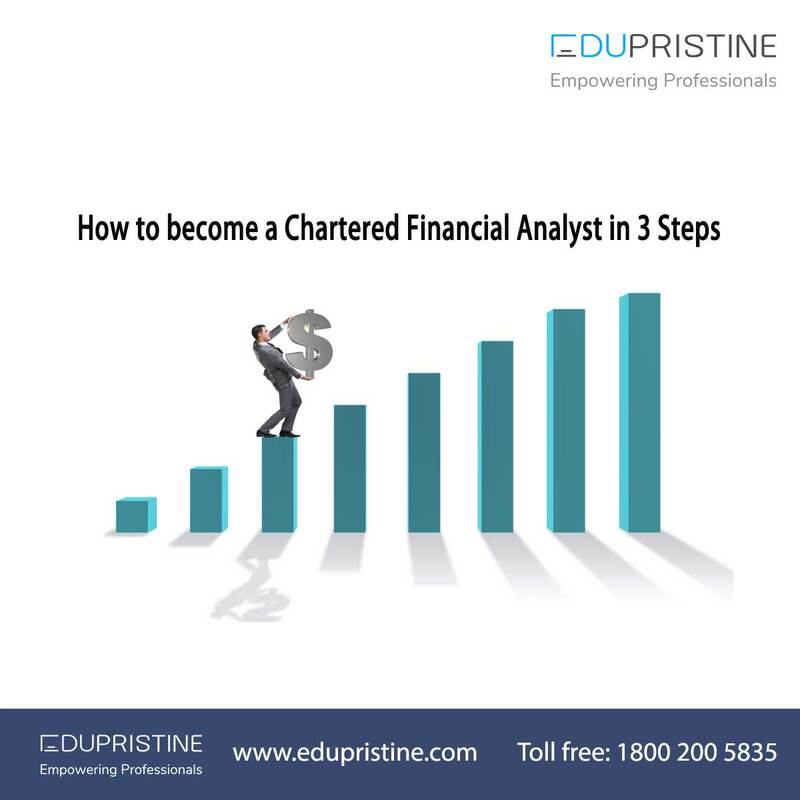 To become a Chartered Financial Analyst, you must have follow some processes that mentioned here. Education: A bachelor’s degree or be in final year of any bachelor’s degree is needed to pass all the levels of CFA® exam. Now the question is what kind professionals can become CFA. What kind of work experience is required to get the CFA institute membership is the main concern in your mind right now. Combination of Education and Experience: 4 years in addition of education and work experience in total to passing the Level I CFA® exam. CFA exams are world known finest finance exams, which test you on your core financial and technical knowledge. To get CFA charter, you have to pass the all the levels of CFA® exam such as; Level 1, Level 2 and Level 3. All the exams are held in the month of June and CFA® level 1 exam held in the month of December as well. CFA exam syllabus: Main Subjects and topics of CFA® exam are include Ethical and Professional Standard, Economics, Equity Investments, Fixed Income, Portfolio Management etc. One of the most important part to become CFA® charter holder is to get membership of CFA® Institute. The CFA® Institute offers two categories of membership, namely, regular and affiliate. The CFA candidates who enroll for the CFA program and pass CFA Level 1 exam must submit a regular membership application. Following are the processes to get Regular Membership. Have a relevant professional work experience of 48 months in investment decision making process. Must follow the OFAC Compliance Policy. Residents of certain countries may be prohibited by law from becoming a CFA Institute or Society Member. The affiliate membership application should be submitted by those who are investment professionals. If you apply for affiliate membership you are not required to enroll for the CFA program and can pursue CFA Charter holder. The benefits of an affiliate membership and regular membership are same, but the affiliate members cannot be awarded a CFA Charter and may not cast their votes on CFA institute Proxies. Society membership is must to become an affiliate member of the CFA Institute. The Code of Ethics and Standards of Professional Conduct are the moral principles for investment professionals around the world. As a CFA Institute member or CFA Program candidate, you are required to follow the Code and Standards. All CFA Institute members and CFA candidates must abide by the Code and Standards and are encouraged to notify their employer of this responsibility. PDF of Code of Ethics and Standards of Professional Conduct. If you have any other queries then mention them in the comments box below and it shall be solved at the earliest. Next What is Standard Deviation?